Irascible Detective Inspector Vera Stanhope rather likes her “hippie” neighbors, especially Joanna. And that’s saying something, as Vera doesn’t often get along with people. Joanna disappears, and her partner asks for Vera’s help in finding her. When Vera does find her, there’s been a murder. A famous book reviewer was knifed in the glass room, or conservatory, at a writer’s retreat. Ironically, the retreat was on writing crime stories. And Joanna had a knife in her hand. Joanna had known the murder victim. But others at the retreat also had known him, and had motives for murder. 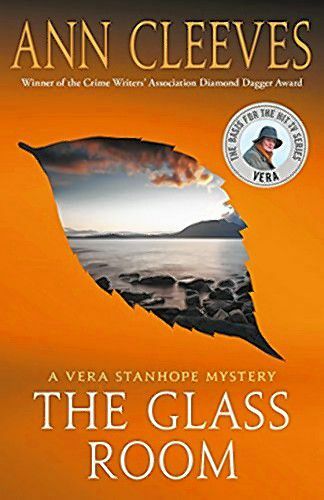 In her own dogged, disheveled way, Vera begins to investigate and finds that the murder scene was set up the same way as a scene in one of the writer’s books. Vera is aided by her long-suffering sergeant, Joe, and the over-eager Holly in her investigation. There are complex characters and interesting twists and turns. This is No. 5 in a series, but you don’t need to read them in order. The series has been made into a TV show called Vera. I found Vera to be oddly likable. Gruff, yet vulnerable Vera has a charm of her own, and a driving determination to catch the killer.